Lightweight, compact cinch lock that is stronger than a cable lock and lighter than a U-Lock. Made with steel and Kevlar® bands. Ideal for cycling and outdoor gear to protect against theft opportunists. Size: * 18" 30" 60"
LIGHTWEIGHT: Weighs only 140g - 255g and is easily stowed. So light and portable you won’t even know you are carrying it. · COMPACT: Coils to a diameter under 3 inches. Keep it in or around your saddle bag, backpack, in your pocket, or anywhere you want. 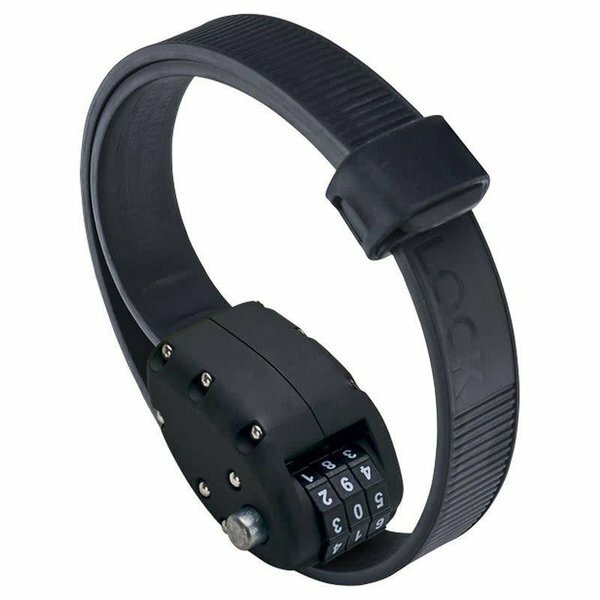 · SECURE: Multi-layer steel and Kevlar® bands (18mm wide) make it very cut-resistant, and stronger than cable locks. · DURABLE: Chip-resistant Cerakote® paint and Santoprene® plastic that will not scuff or harm finishes. · RESETTABLE COMBINATION: 3-dial combination lock. You may also reset the combo as needed.